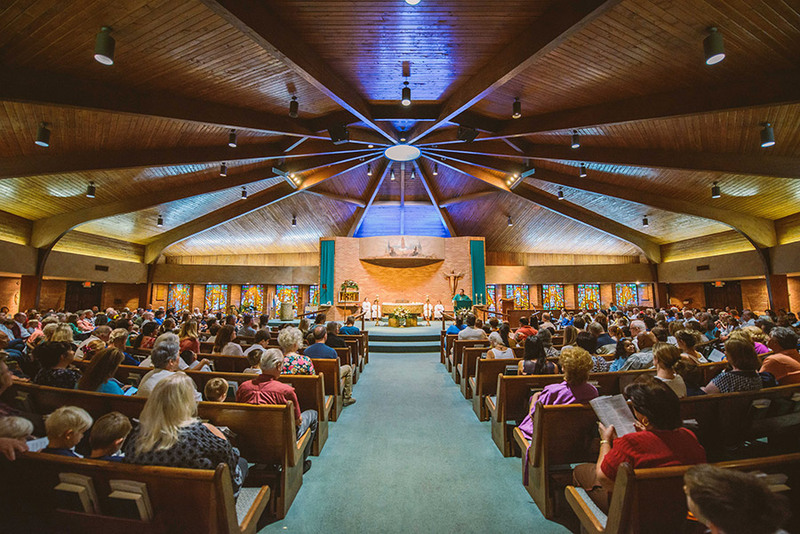 To help the Our Lady of Fatima Family grow in the love of God through experiences of prayer, sacraments, liturgy and the Church is an integral part of our mission. The school day is begun with prayer and students may volunteer to read the prayer. Mass is celebrated every Friday at 8:30 am and on all Holy Days of Obligation. All students from PK4 to 6th grade attend mass. 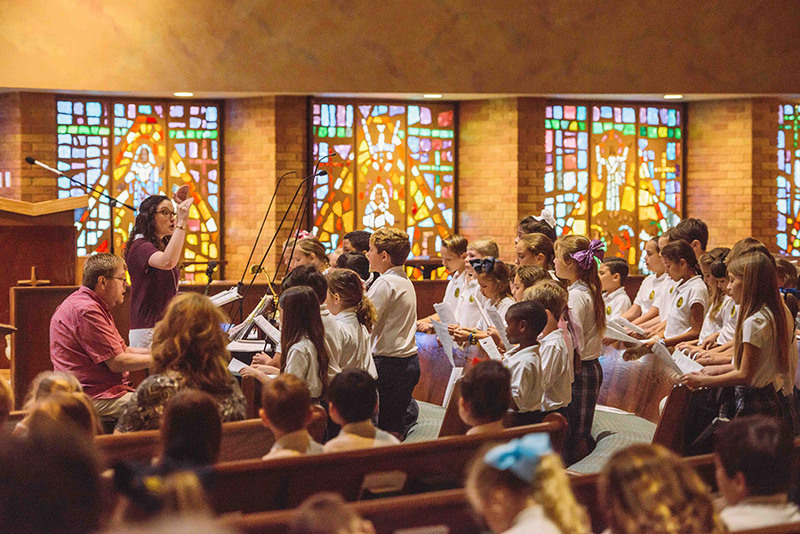 PK3 students attend mass during the second half of the school year. 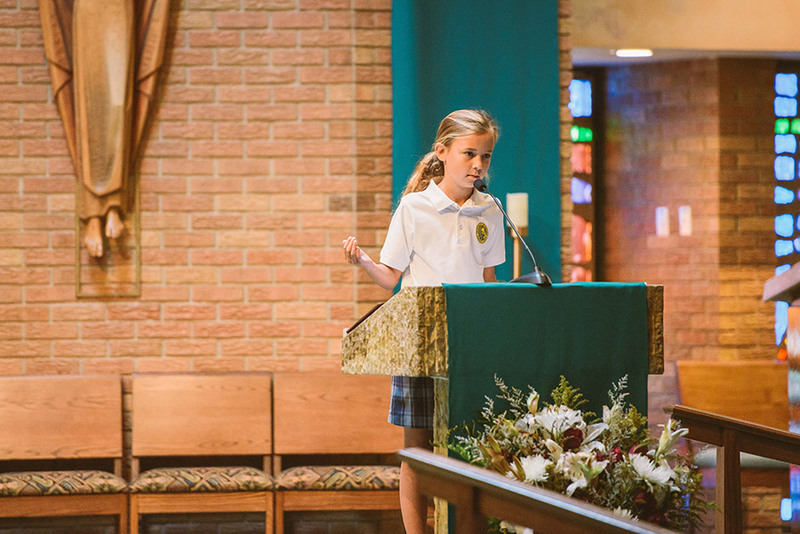 Students are invited to participate in various roles during each liturgy or prayer service. 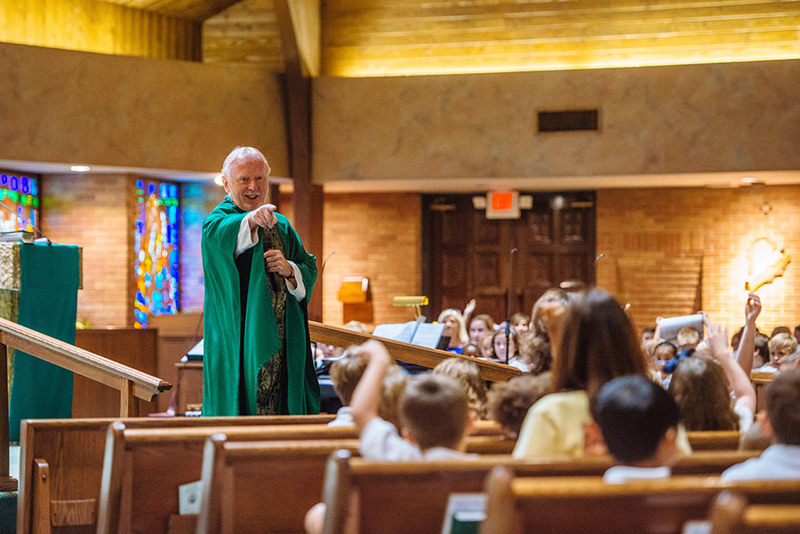 These roles include singing in the choir, reading one of the scriptures, or being an altar server. The sacrament of penance is one of the seven sacraments in which the faithful obtain absolution for the sins committed against God and neighbor and are reconciled with the community of the Church. First Confession is offered to 2nd graders in late February or early March. First Communion is a ceremony in which a person first receives the Eucharist. Holy Communion is the third of seven sacraments receives. It occurs only after receiving Baptism. 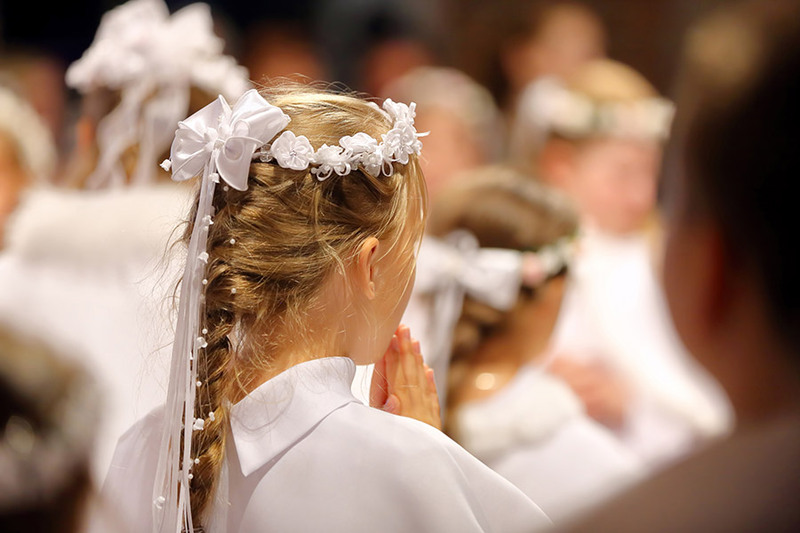 First Communion is offered to 2nd graders in the spring. 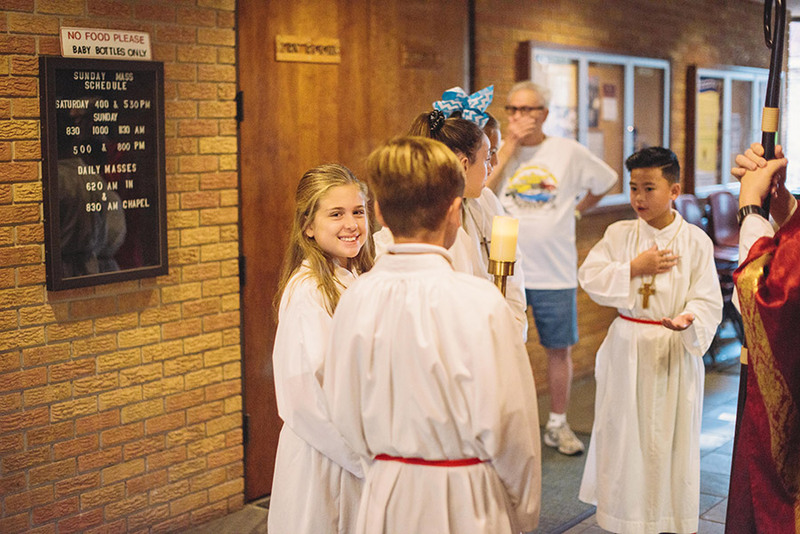 An altar server is a lay assistant to a member of the clergy during a Christian liturgy. 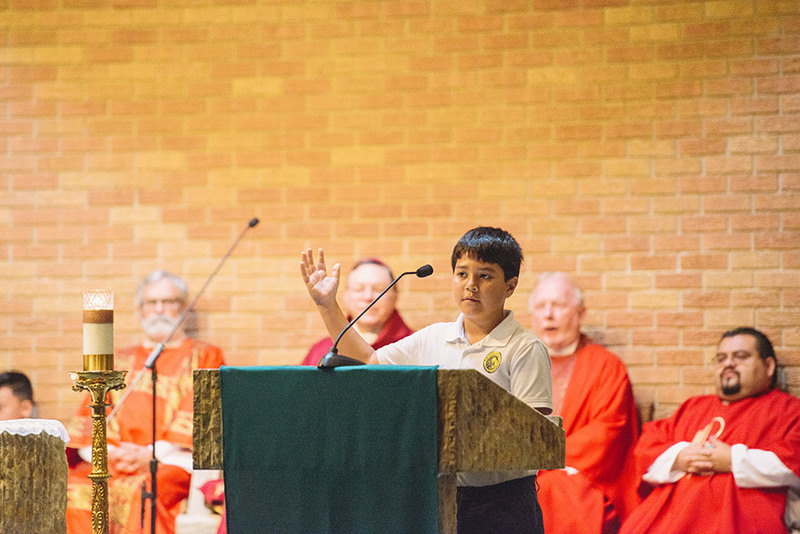 An altar server attends to supporting tasks at the altar such as assisting the priest during the service. Altar servers are open to the students of OLF elementary beginning in the third grade and after receiving First Communion.